The northern pike, Esox lucius, is a common predator in freshwater lakes and rivers where ice fishing is popular. Armed with a mouthful of sharp, backward-facing teeth and a sleek olive green body sporting a white belly, the pike is the stuff of nightmares for other fish–and the fuel of dreams for many anglers. Massive, aggressive, and hungry, they’re a winter favorite and a test of fishing prowess when taken with rod and reel. To catch these aggressive brutes, you need to chase their prey and get a firm grip on their hunting behavior. In short, that means that the more you know about crappie, perch, and bluegill, the more you’ll know about where to find pike. Go big – Micro-lures have been a trend in ice fishing, and we’re big fans. But pike are voracious predators looking for sizeable meals, and this is your chance to fish some really, really large lures. 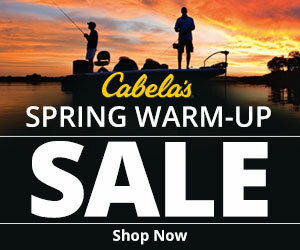 We recommend looking for tubes, swimbaits, and spoons in the range of 4 inches or more. Not only will that cut down on your chance of hooking a smaller species by mistake, but you’re more likely to target adult, aggressive pike, too. Be aggressive – Speaking of aggression, we usually recommend a gentle touch with jigging, driven by tiny wrist movements to create delicate action. But for pike, it’s often effective to rip the snot out of your lure and then let it fall. Pike aren’t afraid, and you won’t scare them away. In fact, they can be teased into attacking your lure with ferocious jigging action. 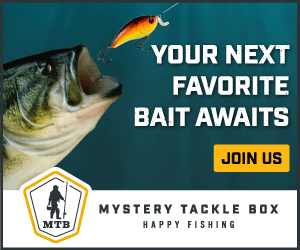 Wait – When pike do bite, especially with live bait, wait! They’ll often grab the bait horizontally, move off, and then rotate the fish to swallow it by the head. By giving it time to get the hook in its mouth, you’ll increase your success rate. Use a leader – Pike have keen vision, but they don’t care about line and aren’t finicky. Take advantage of that by using a strong leader to prevent their teeth from wreaking havoc on your gear. Aim high – Don’t forget that pike often cruise just below the ice. Be sure to work the entire water column, especially later in the season. The relation between pike and vegetation is complex, changing over the course of their life-cycle. Because they’re both aggressive and cannibalistic, immature pike need dense weeds to avoid being eaten by larger members of the same species. Even when tiny, they’ll prey on small fish and pretty much anything else that can fit in their capacious mouths. But once they reach maturity, vegetation is useful to them only as a habitat for their prey. As ambush predators that rely on their keen sight, pike sit near submerged trees, rocks, and other places where they can disguise themselves and still enjoy a long line-of-sight. They favor edges: the border of weed beds, drop-offs, points, and any underwater terrain near a feature that can hold the meals they’re hunting for. Pike are indiscriminate predators, and they’ll feed on anything they can. That means they’ll gravitate toward everything from small mammals to birds, leeches, and fish of all kinds. Unlike many predators, however, pike lack a strong sense of smell. Instead, they rely on excellent vision and a very sensitive lateral line to detect vibrations in the water. You can use their attraction to flash and sound to your advantage, relying on instinctive aggression to deliver strikes. The key to locating pike is to find their prey. Armed with this knowledge, you can turn these apex predators into an easy catch. For the most part, pike sit still and wait for prey to blunder near–and they can be territorial as a result. And the larger the pike, the larger the area it will claim. But don’t think that this means they don’t move; in fact, they follow prey items and cruise large areas looking for a good place to hunt. Especially later in winter, these predators will cruise just below the ice, looking for prey high in the water column. By spring, you’ll find pike following perch and other prey items to their spawning beds. These seasonal variations follow the migrations of perch, crappie, shad, and anything else pike can eat. Relative to other species of fish, pike have a weak sense of smell, keen sight, and a very sensitive lateral line. They can see flashing spoons and feel the vortices created by erratic movements over long distances. For instance, aggressively jigging a rattle bait can call them in from hundreds of feet away, and the flutter of a large spoon will summon them off the bottom. But because pike are sight hunters, they’re least active at night. Instead, they’ll turn on when other fish turn off, frequently feeding at mid-day when the light is the strongest. It’s not unusual, for instance, to find pike actively biting in the early afternoon, before species like perch and crappie really get started. If the sun is up, pike are looking for a meal. That’s important to remember, because where there’s no food, there’ll be no pike, either. Wherever prey items cluster–among living weeds, in thick vegetation, along a narrow point adjacent to deeper water, around a submerged hump or island–expect pike to be cruising for prey. But don’t get the wrong idea: they won’t be hanging out in the weeds, themselves. They’ll be a good bit off, watching the edge for a tasty fish to wander out. Take advantage of that by locating the weed edge or the limit of dense cover and drilling your holes there. Fish your lures just on the edge of that habitat, and pike will be waiting to strike. Tip-ups are a traditional method to take pike, and they can be amazingly effective. Where legal–since many locations now restrict the use of live bait–a large shad on stout line can be murder on these predators. Any bait species over 5 inches or so is ideal. Pike aren’t terribly picky, but they do like a mouthful! We don’t recommend that you use braided line on your tip-ups as it can be a bit rough on your bare skin when you fight a big pike. Instead, we prefer large diameter monofilament or fluorocarbon with about three feet of tieable wire as a leader. Pike have aggressive teeth, and you don’t want them cutting line with them. We’d use no less than 20 pound test, and some anglers prefer more, as it can make it easier to work with your hands. Tip-ups are an ice angler’s best friend, but if you’re fishing in an area that doesn’t allow the use of live baits, they’re pretty much useless. Instead, you’ll need to rely on your rod and reel, and you’ll need strong gear like the JawJacker Ice Rod to land these monsters. 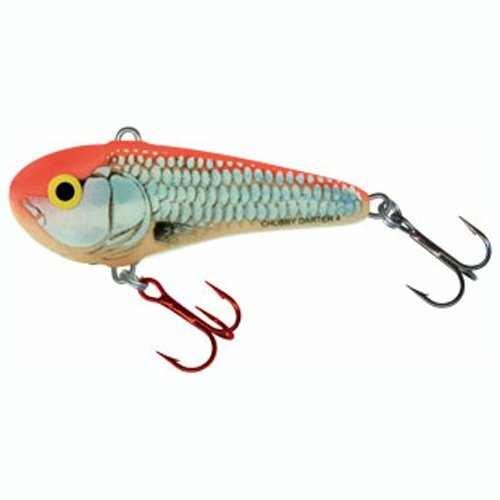 The Rattlin’ Rapala looks like a small baitfish, and it features a rattling chamber that produces incredible noise and vibration. In larger sizes like the ¾ ounce, 3 ⅛-inch models, this lure can call-up pike from the next county! Dardevle spoons are just the medicine for pike, especially in large sizes like 2 ounces, which runs 4 ¼ inches long. Offered in a variety of colors and patterns, we like to have more than one option on hand. Especially deadly on the fluttering descent, expect pike to brutalize these lures. That we recommend Rapala’s Jigging Rap should come as no surprise to any experienced angler. For pike, we like the largest size, 9, running about 3 ½ inches long. Worked properly, it darts and hovers, turning and floating like an injured shad. The Chubby Darter is the smallest of the lures we recommend, but it’s just as effective as the big boys. Don’t let its size fool you: its chunky shape and robust action imitate a baitfish in distress. It’s a worthy complement to the Rapala as it provides a different action and look. This unconventional choice is murder on pike. A large tube jig, normally fished for bass, can be rigged on a large jig head, resulting in one of the deadliest pike combos around. We particularly like the 5 ½-inch Berkley Flippin’ Tube rigged on a ¼ ounce Bait Rig’s Oddball Jig. When fished immediately next to a weed bed, the pike rush in to grab what they think are minnows darting from cover. Fishing pike is exciting, and hooking a real monster can be the angling adventure of a lifetime! In fact, in places like Finland, catching a large pike on rod and reel is the mark of a true master. Pike are one of our favorite fish to chase on the hard water, and if you try these tips and tricks, study their behavior, and learn the patterns of their prey, we’re sure you’ll agree. Be sure to leave us a comment and let us know about your pike fishing adventures! Want more ice fishing advice? Click here.